Toddlers grow so quickly, it can be hard for their puzzles to keep up (not to mention you). Enter the beginner puzzle set. 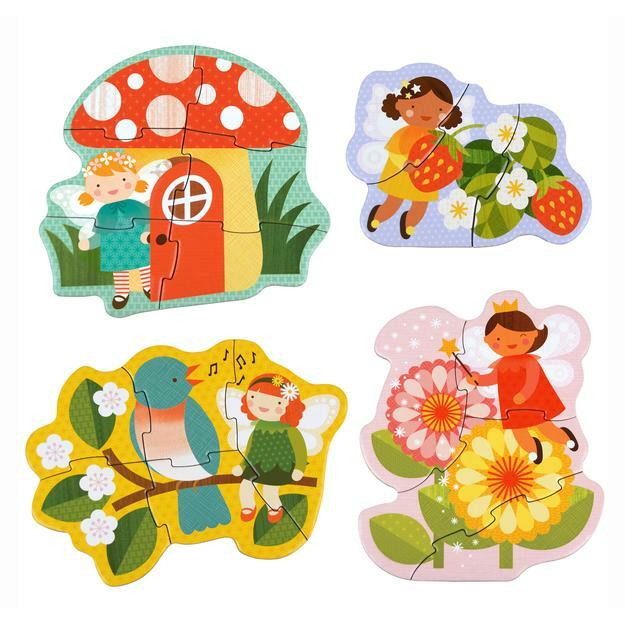 This progressive puzzle sets evolves with your little one: each box comes with a 3-piece, 4-piece, 5-piece and 6-piece puzzle. Entry-level puzzle-doers will be able to tackle the 3-piece puzzle without too much trouble, and can move on to the more advanced puzzles when ready: we like our munchkins challenged, but not frustrated! Large chunky puzzle pieces measure roughly 2"x3" each. Four puzzles included in the set. Sturdy box allows for quick clean-up. Made with recycled paper and printed with vegetable based inks. Conforms with CPSIA, ASTM, and CE standards.